When you play a musical instrument, it makes the air around you vibrate (move back and forth rapidly). The air carries the vibrations to your ears and your eardrums vibrate so that you can hear the sounds made by the musical instrument. Pan Pipes are a simple wind instrument. When they are played, the air inside the tubes (straws) vibrates to make a sound. Glue the other piece of cardboard over the first piece of cardboard. 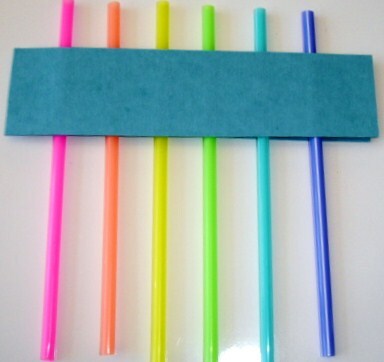 The straws will now be between both pieces of cardboard. 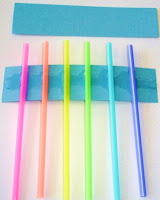 Trim the bottom of the straws with a scissors so that each one is a little shorter than the one before it. 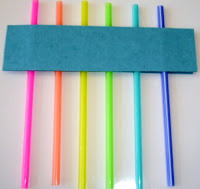 Have the straws facing downward and hold the straws to your mouth as you blow across the tops to make MUSIC. The shorter the straws, the higher the pitch. The longer the straws, the lower the pitch. I'm your newest follower. Found you on twitter tonight, and enjoyed perusing your posts. This looks like fun too! I will have to refer to your site with all your great ideas! I "like" your FB page and I'm your newest follower! Thanks for linking up with NOBH! this is a great idea! loved all the ideas for homemade instruments and they seem so simple and do-able! I'm so glad that I stumbled upon yiou via a blog hop! I am now a follwer & can';t wait to see more! Thanks for all you have shared here! Love your idea of making wind instrument.Thanks for sharing. You can also check my hand print Butterfly. That looks like a ton of fun! My kids will really enjoy it! Stopping by from the Hip Homeschool Hop. Thanks for the fun idea! I'm super impressed it actually worked for you. I've tried that before and had zero success. I had to read the directions several times before attempting it. As long as we held the straws down (facing the floor) and blew across the straws (not into them), we could really hear the difference in the high pitched sounds and the low pitched sounds. I love Sunday Science so many good ideas! Thanks for visiting...and thanks for the Irish Blessing on your site. I am now following you. Happy St. Patrick's Day to you and yours. 5 years old is a great age...keep having fun together! 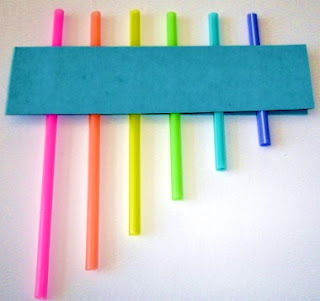 My boys (6 & 3) are going to LOVE this simple/easy to make instrument ;) Thank you for sharing, we will be making them today! 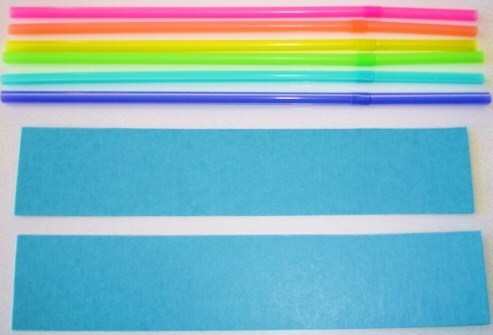 wow, I'm always amazed how the best ideas are the simplest! Me too! :) Thanks so much for stopping by and leaving a comment. Does Sound Travel Through Solids? Can You Identify the Sound?